Life is cheap at the farthest reaches of the space frontier—where the scum of the universe rule, unhampered by the forces of law and order. 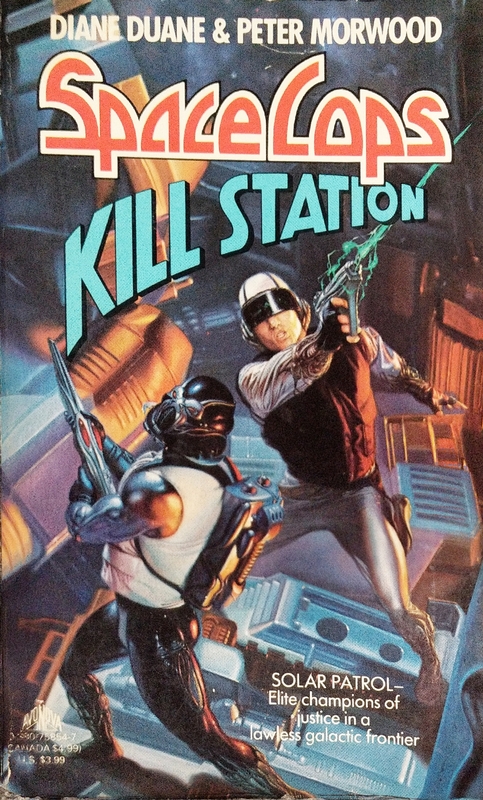 Investigating the mysterious disappearance of numerous space-going freight vessels, Solar Patrol Rangers Evan Glyndower and Joss O’Bannion enter this wasteland of humanity—well-armed but outnumbered…and alone. 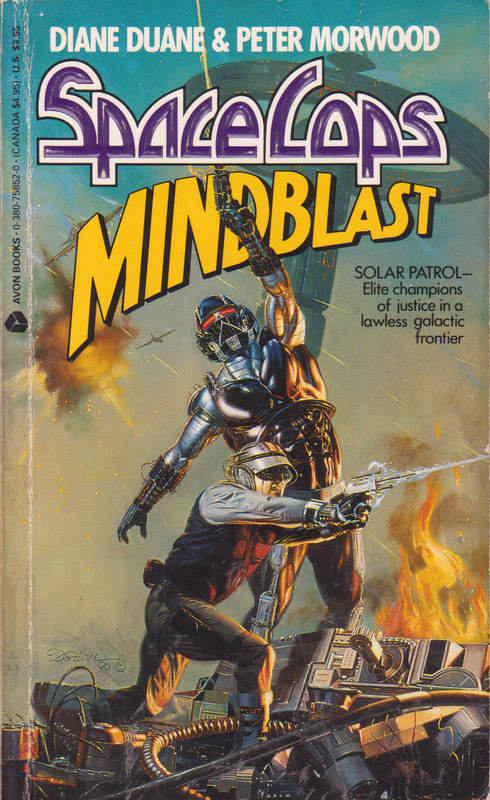 But these seeming acts of interplanetary piracy mask a far more insidious threat—a conspiracy of chaos and terror that will plunge Glyndower and O’Bannion into the deadliest firefight of their lives—to save themselves…and their solar system. Who would have thought that within every playful, cuddly Mogwai there lurked a gleefully, malevolent gremlin? Billy Peltzer and his girlfriend Kate Beringer found out the hard way—and it nearly destroyed their hometown of Kingston Falls. Now the young lovers have come to New York to seek their fortunes. But the towering, high-tech office building in which they work is about to become a breeding ground for a whole new batch of deliciously malicious creatures. Start spreading the news. 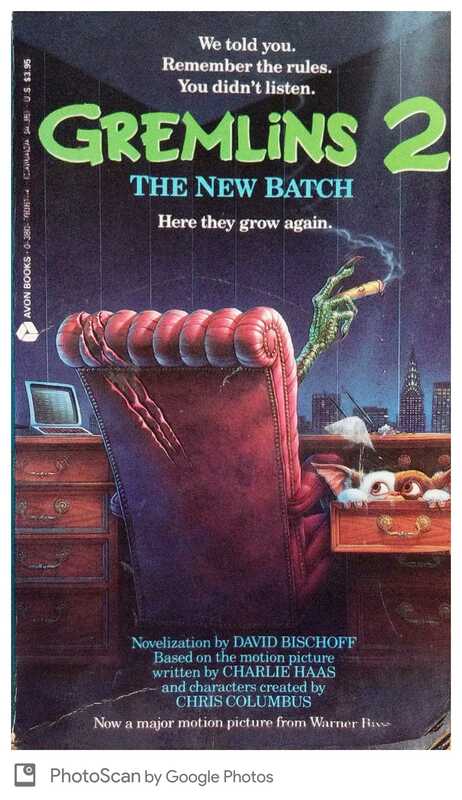 The gremlins—lots of them—have come to take Manhattan…and they’re itching to comically paint the Big Apple gremlin green! Though basically a skeptic, William Reynolds had known out-of-body experiences in the past. But never before had he floated past the boundaries of Baltimore…and across the borders of time. And now, with the fires of Civil War looming on the horizon, the astonished graduate student was hobnobbing with none other than the dark poet Edgar Allen Poe. But their meeting of minds was to have chilling consequences. For a desperate Confederacy planned to use them both to remold the world—and to change history…for the worse. Carly Nolan was once a professional telelinker with a powerful corrupt legal firm. Now she lives an outlaw life at the bottom of the human garbage heap―a penniless recovering cram addict wanted by the authorities for dubious crimes against the Data Control bureaucracy. But with a new job―and the help of an aging standalone A.I. entity named Pr. Spinner―she hopes to find the fast track back into public telespace. Her assignment, however, has sticky strings attached. For it has made Carly the target of a ruthless mercenary Ultra fembot, the love obsession of the young shaman of a savage urban tribe―and a possible pawn of Silicon Supremacists plotting no less than the annihilation of humankind. Grad student Stewart Davies, working at a minor SETI listening post on Long Island, is the first to intercept the signal. It is not a hoax or an accidental burst of radiation. It reads: “I am Zeerus of Achernar Three…We have much to discuss.” Those words will transform the lives of Stewart Davies and his girlfriend, Jess Rossini; of Joint Chiefs Chairman Gen. Larry Hightower and White House Chief of Staff Laurie Sherman; of NSA specialist Maj. Steve Hayes; and of Jake Holcroft, an eleven-year-old genius on the run from his fanatic father’s underground militia. For the signal hasn’t come across billions of light years. A starship, carrying one alien, has entered the solar system, approaching Earth. And every old movie and TV show has suddenly become terribly real. Is Zeerus ambassador or invader? Explorer or fugitive? Can we even understand his motives? What questions should we ask? What answers can we believe? If we don’t want Zeerus on our world, how can we stop him from coming? And if we are wrong about this being’s purpose for visiting, what are the consequences for humankind? Thanks to the wonder of the hide, no one starves or freezes or gets sick on the perfect worlds of the Solarian Alliance. Like a synthetic skin, the hide protects and heals, and can transform people into anything they want to be. Nothing threatens this wondrous utopia until an extraterrestrial message of unspeakable horror is received. An evil race terrorizes the galaxy, and it’s coming toward Earth…. Into this world the Solarian Alliance frees Krim, the last survivor of the Beat asteroid known as the Jack and a prisoner since he saw his world vanish into that strange other space known as Ur. Disgusted with this utopia, Krim enlists in the distant fight at the edge of the solar system, the battle no one on Earth may know about, lest it disrupt their perfect peace…the Hidden War. 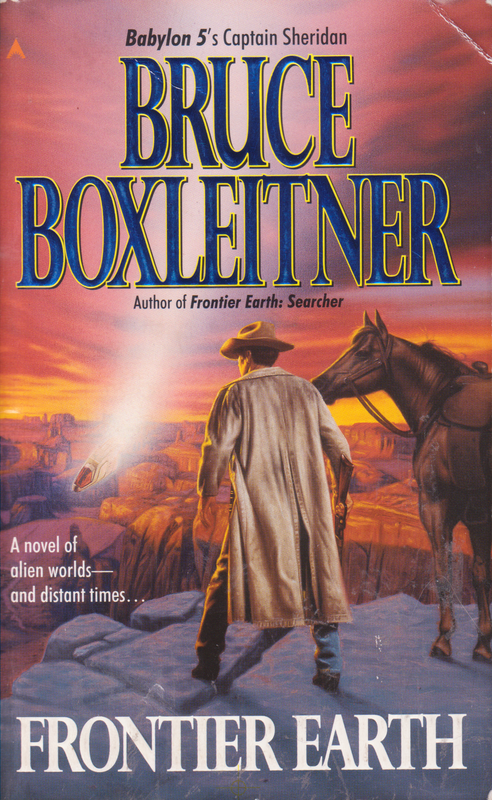 Bruce Boxleitner, best known for his role as Captain Sheridan on the hit television series Babylon 5, delivers an exciting science fiction novel of Earth’s first contact with an alien species—in the year 1881. HYPER-2: A dangerous new drug manufactured in zero gravity—an irresistible essence that enriches every thought, enhances every sensation. 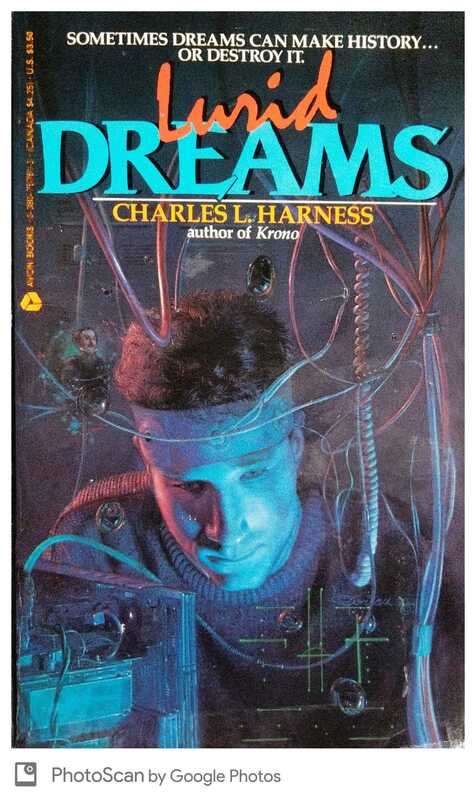 Officer Lon Salonikis discovered the dark secret behind the Hyperprocess—a conspiracy of mind-altering proportions buried in the deviant quarter Freedom II. And now Salonikis has been terminated. Only Solar Patrol Rangers Even Glyndower and Joss O’Bannion are fearless enough to venture downlevel—courting certain death to unmask their former partner’s assassin…and to learn the terrible price of the ultimate ecstasy. 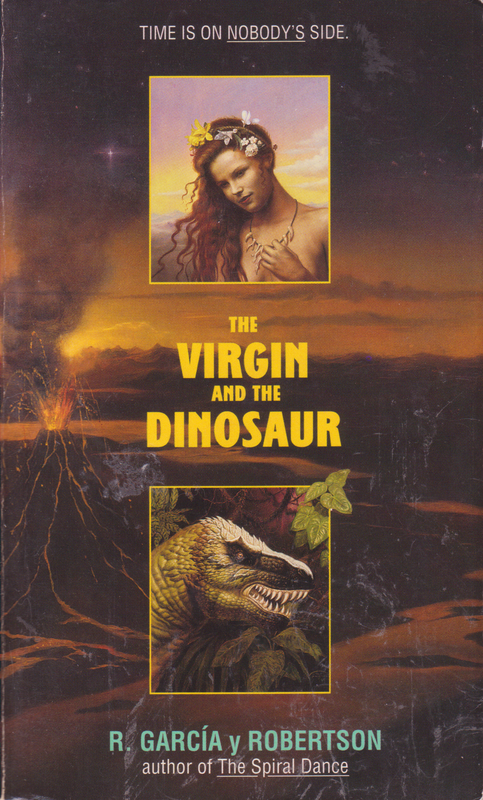 In a far-future Megapolis free of disease, pollution, and money, Jake Bento is master of the wormhole—until an unforeseen catastrophe nearly strands the professional time traveler and his beautiful young paleontologist companion Peg in a world of huge extinct beasts. Luckily, Jake’s deft manipulation of wormhole technology can bring them home—after several stopovers in more manageable eras—with enough 3V recordings to make them both legends in their own, and other, times. There are those, however, who resent such newfound celebrity—specifically Jake’s dangerous erstwhile employers at FASTER-THAN-LIGHT. And now Peg and Jake must watch their backs, from Pleistocene to the present. For there are no treacheries their enemies won’t stoop to—and no time left in which to hide. Montana, 1876. Othniel Charles Marsh, one of the two top paleontologists in the world, is in the state’s Judith River fossil beds, doing what he does best: digging up the bones of dinosaurs. Montana is a big state, but Marsh can’t rest easy. 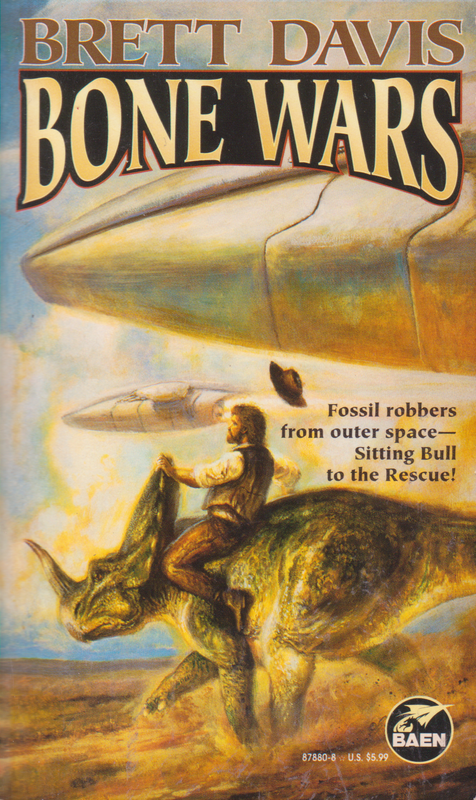 Edward Drinker Cope, his biggest rival, and the other top paleontologist in the world, is also in the area, and there simply aren’t enough bones for both of them, leading them to play dirty tricks. And time itself is against them: the fierce snows of winter are on the way and, rumor has it, so is Sitting Bull, fresh from his triumph at Little Big Horn. Another complication: two foreign scientists are also competing for the bones. One says he’s from Sweden, the other says he’s from Iceland. One of them enlists Cope to help him, while the other befriends Marsh.